Another day, another shakedown just for being black. 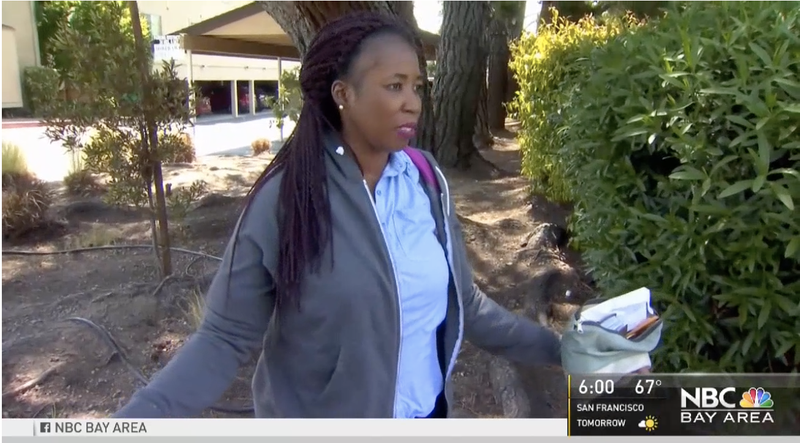 At least that’s what Conteh Moore believes she experienced while shopping at Macy’s in the Westfield Oakridge Mall in San Jose, Calif. According to NBC Bay Area, Moore was browsing the Macy’s on May 8 when a sales associate accused her of stealing a bottle of cologne. And the associate did not stop at mere accusations; according to Moore, her purse was also searched, and employees stripped her of her sweater in the search without her permission. “They searched my purse and stripped my sweater off me,” Moore said. What really got to Moore, however, in light of all this was what the saleswoman said after Moore was found innocent. “She said, ‘People like you have been stealing from Macy’s, stealing stuff,’” Moore said. Moore says she believes she was targeted solely based on the color of her skin. “I feel so humiliated, and up until now, I am still feeling the pain,” Moore said, adding that she had to wait for almost two hours just to speak to a manager about the incident after being loudly accused of stealing in front of several other customers. Macy’s issued a statement apologizing, noting that its customers’ Bill of Rights explicitly prohibits profiling. “We apologize. The situation is currently under investigation and is being reviewed. Macy’s is a company that values acceptance, respect and integrity and does not tolerate discrimination of any type,” the company’s statement read. But Macy’s can probably keep that apology. Moore says she is planning to pursue legal action regarding the incident.